Friends for Asia offers a range of Kathmandu volunteer projects to suit every budget and every taste. There are many reasons why Kathmandu is a great place to volunteer, not least its vibrant atmosphere, beautiful architecture and its rich Hindu and Buddhist cultures. Joining a volunteer project in Kathmandu is a unique way to experience life in this Himalayan gem. Our volunteers live with Nepali families, work with Nepali adults and children, get a unique take on Nepali life and eat the local food. No tour operator can offer an experience to match volunteering in Kathmandu. Nestled between the breathtaking peaks of the Himalayas, Kathmandu is one of the most beautifully situated cities in the world. It has long been a popular stopping off point for backpackers, trekkers and mountaineers. All our Kathmandu volunteer projects are located in and around the city. Our Kathmandu volunteer projects are designed to immerse our volunteers in daily Nepal life while helping the most disadvantaged in society. Friends For Asia volunteers can find themselves working with children in orphanages, teaching at schools, or helping to empower disadvantaged women. The list of valuable contributions our volunteers can make goes on and on. We offer a range of Nepal volunteer projects to suit every taste. From working with kids at a Buddhist monastery to educating villagers about environmental awareness, volunteers have plenty to choose from. Projects usually last between two weeks and three months, though some projects can be extended to five months depending on the time of the year. Most of our volunteers live with a Nepali host family for the duration of the project, giving them a unique insight into what life is really like in Nepal. Orphanage project volunteers stay at the orphanage or with a host family very close to the orphanage. At Friends for Asia we believe that our Nepal projects give our volunteers an experience that tourism or independent travel cannot match. Volunteers are immersed in Nepal culture as they work with Nepali children and adults during the day and live full-time with Nepali host families. Nepal has a rich and unique culture with its own customs and traditions and volunteering here brings a unique perspective on life in this amazing country. Volunteers eat the local food and tune in to the rhythm of local life for the duration of their stay. With its beautiful architecture and rich Buddhist and Hindu traditions, simply walking the streets of Kathmandu is an enlightening cultural experience. We advise all our Nepal volunteers to do their own research on the customs and traditions, and even learn a few words of the language, before they arrive. 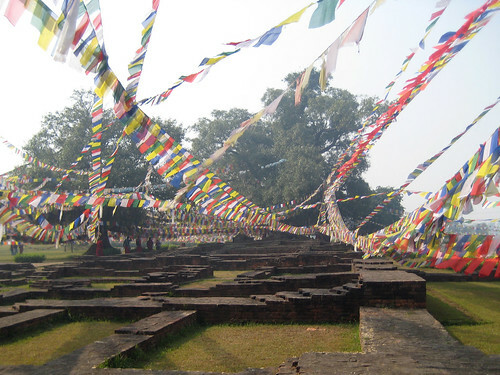 Kathmandu, like all of Nepal, has two seasons – wet and dry. The wet season runs approximately from June to September, with the dry season lasting for the rest of the year. Temperatures during the wet season can rise to 30C (86F) and nights are warm. Winter temperatures can rise to 20C (68F) during the day but it often drops below freezing at night so volunteers are advised to bring plenty of warm clothing. Daytime temperatures in the dry season can fall to 10C (50F) or below and nights are often below freezing. Although the city is surrounded by snow-capped peaks, it rarely snows in Kathmandu. The best website for weather forecasts as well as historical data (great for travel planning) is the Weather Underground site for Kathmandu. They also have free iOS, Android and Kindle weather apps.